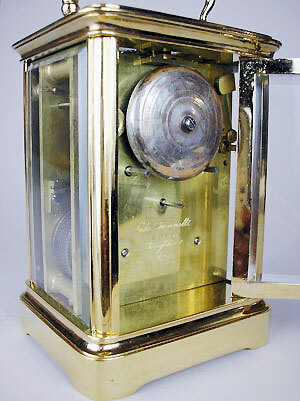 This carriage clock by Edward Funnell of Brighton has a double-fusee and chain movement. 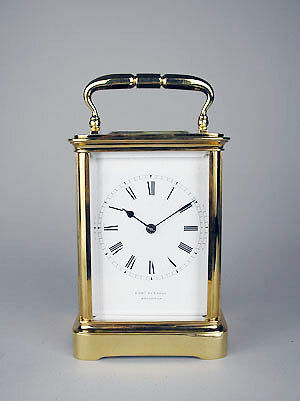 The clock has an original English lever platform and strikes the quarter hours on two graduated bells. 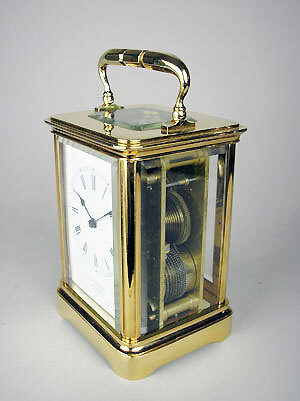 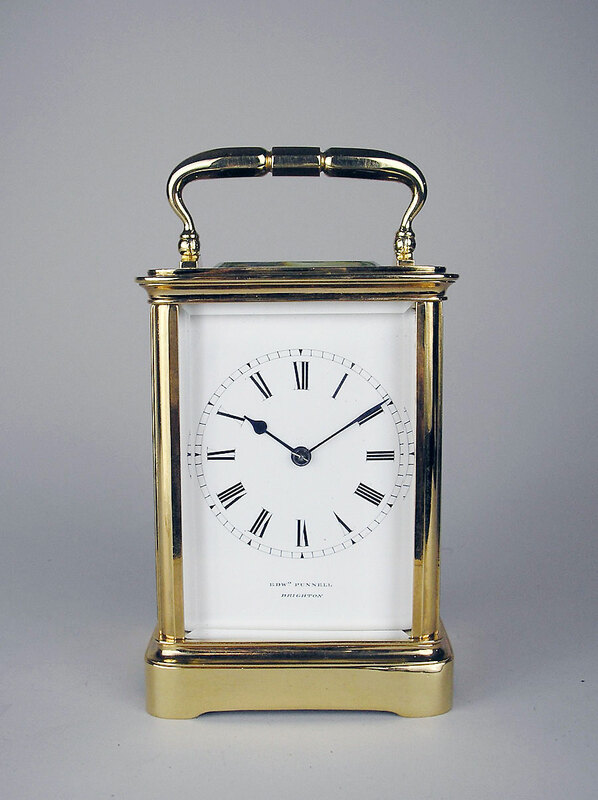 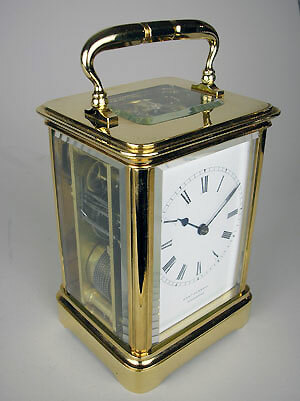 The dial and back plate are signed, and the heavy gilt brass cage has thick bevelled glass.